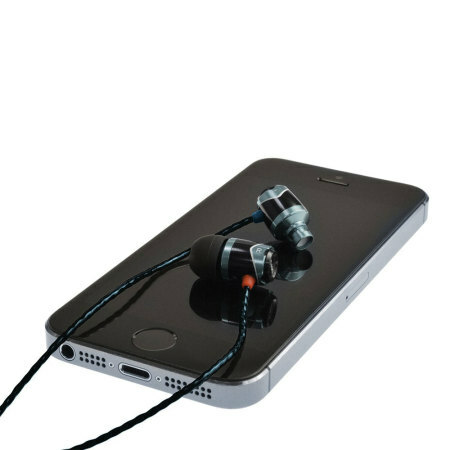 Enjoy your music in crystal clarity with a strikingly balanced sound with the SoundMAGIC E10 In-Ear Headphones in Gunmetal. 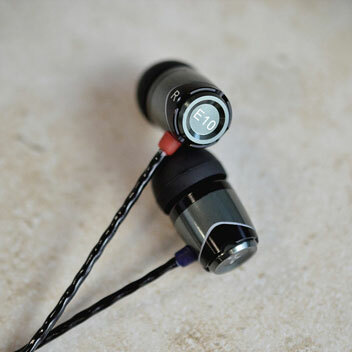 Built to last with its all metal earphone construction, powerful bass and a comfortable fit. I've had e10c for about 3 years. Bought e10 pair as a replacement. Lov'em! Product and delivery good. Lots of options to make the in ear fit a perfect one. I messed-up because I should have bought one with a microphone but no-one has said they can't hear me so working out fine! Really happy with these earphones sound is great with good base and mid range. I travel a lot with work and on the plane they're almost noise cancelling easy to transport and the material quality seem hard wearing easpecially the cable. This attractive two-tone set of earphones are constructed with a modern metal design and features a stunning premium finish. 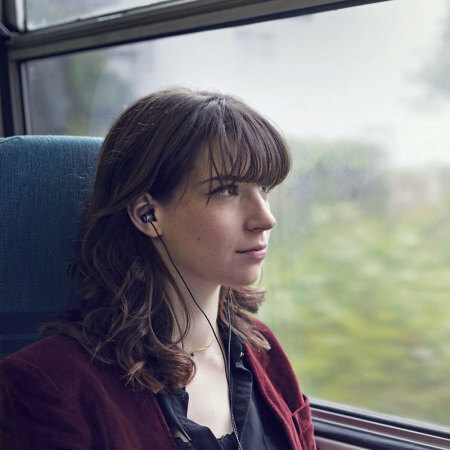 The E10 In-Ear Headphones are suitable for comfortable listening or for use when out and about, so you can enjoy your musical entertainment at home, work or on your travels. The award winning and highly acclaimed in-ear earphones by SoundMAGIC ensure your music is represented in the finest quality, far beyond that of what the price may suggest. 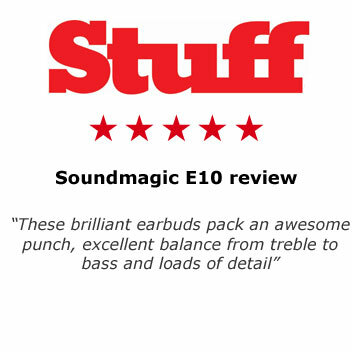 With clear overall sound, powerful bass yet balanced with superb details - the SoundMAGIC E10 Earphones are sure to delight your ears as well as your musical soul. 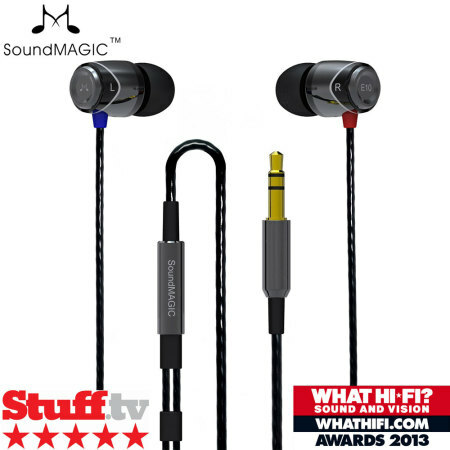 The SoundMAGIC E10 Earphones are designed to be as secure in your ears and comfortable as possible. 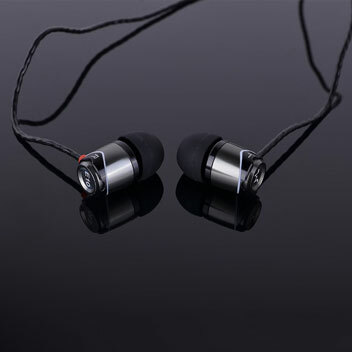 This has been achieved with interchangeable ear pieces, making it possible for all users to find a comfortable fit. 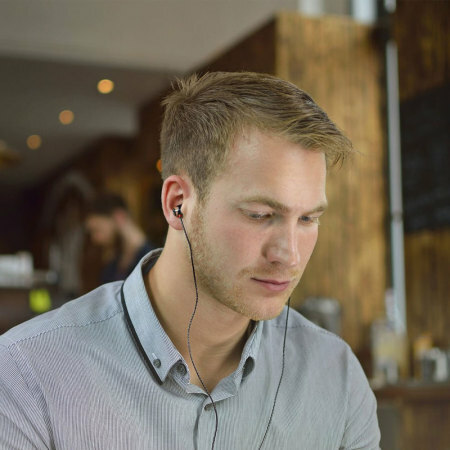 The In-Ear design of the E10 Headphones ensure that any outside interference from those around you fails in diminishing your audio listening experience. This also ensures your music isn't easily overheard, so you don't disturb those around you. In the box is a hand carry case for when you're not using your earphones. There's also a cable clip to secure your cord to your clothing. 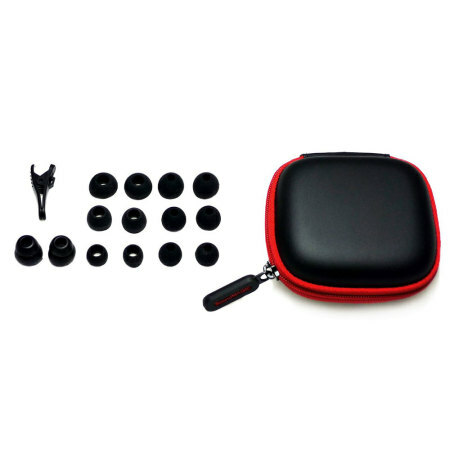 There are also various size ear pieces in the box to ensure your earphones are comfortable and secure. 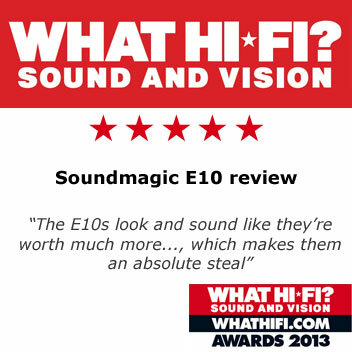 Winner of the prestigious and industry recognised 'What Hi-Fi Sound and Vision Award 2013' in the 'best in-ears' category in their price range, the SoundMAGIC E10 In-Ear Headphones are proven to be a fantastic choice for music enthusiasts who wish to listen to their music at home or on the move.